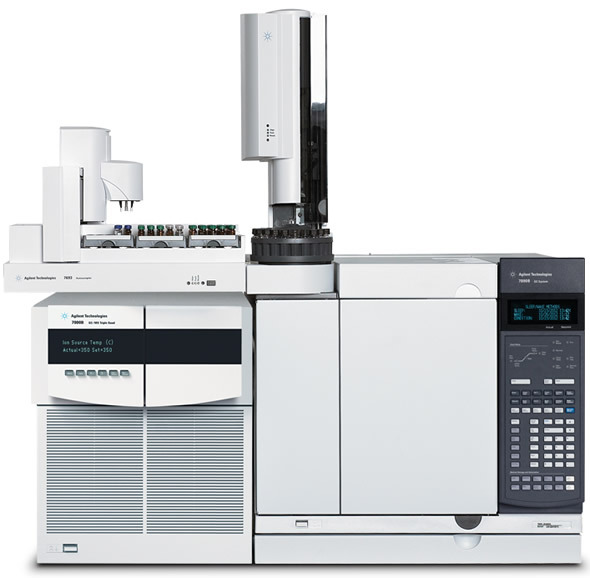 The Agilent 7000B Quadrupole GC/MS/MS is the most powerful trace detector for target analysis in complex matrices. MS/MS provides increased selectivity and sensitivity, reduces or simplifes sample preparation, shortens analysis cycle times, eliminates false results, and simplifies data review for improved productivity. Built around time-tested MSD components, the 7000B raises the standard for robust GC/MS/MS operation. The entire system and analysis process – from intuitive, yet powerful instrument control and data acquisition, to qualitative and quantitative data analysis, and reporting – are supported by MassHunter software.